Well, it's been a crazy few weeks. 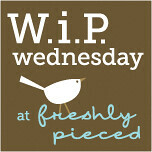 Hurricanes, grades due, units to plan, quilt deadlines. I've had such a hard time keeping up with my own life; my heart completely goes out to our neighbors and neighboring states that are picking up the pieces of their homes and lives right now. 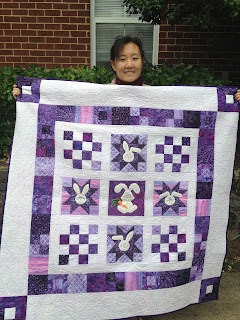 The Purple Bunny Quilt is finished and mailed to Grace for her birthday! More pictures of the quilt are here. 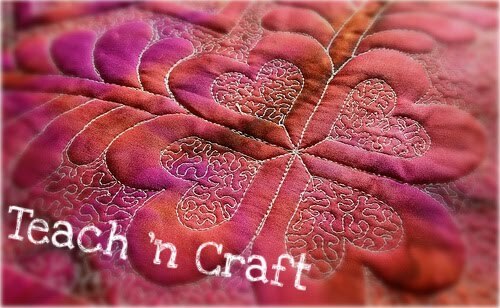 I'll be trying to bind this using a top-stiching method I talked over with a sweet woman at the Quilt Patch in Fairfax...I'm ever in search of the perfect binding method. 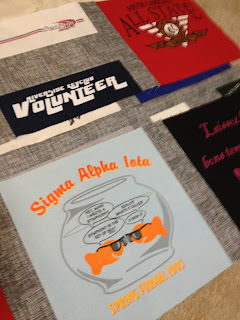 Then next up will be the t-shirt quilt that I restarted for UFO Sunday at the Free Motion Quilting Project. 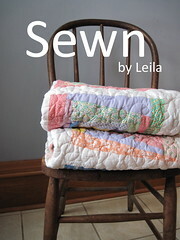 Finally, I'll have a quilt to snuggle up with--right in time for the cold weather. Then it will be a Five Yard Quilt for Cynthia using these great fabrics. She wanted pink and floral...I think this will suit. Your quilting on that charity quilt looks just fabulous! It's amazing how much practice makes a difference, isn't it? 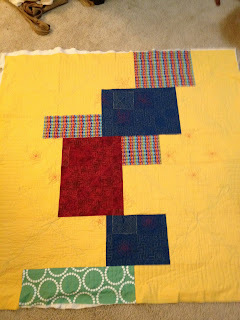 I'm on my third quilt with fmq after a very long hiatus, and I'm really starting to get comfortable (though still far from perfect). I may have to take a break from the charity quilts to finish up some for my family, but wow...good practice for a good cause - can't beat that! Hope to see you Sunday!